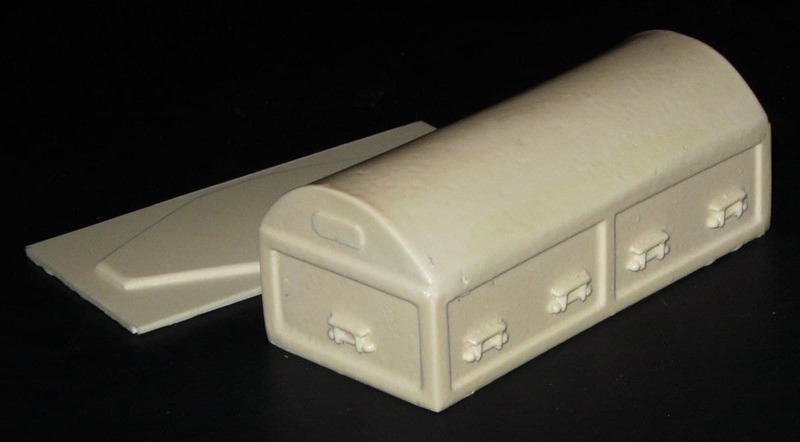 This is a resin burial vault for 1/24 and 1/25 scale model hearses. 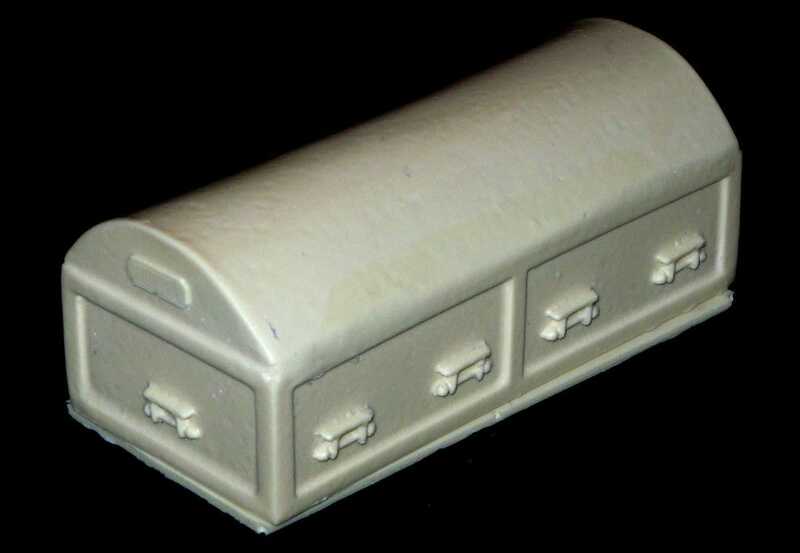 These are suitable for any funeral car model in a comparable scale as well as G scale railroad layouts. 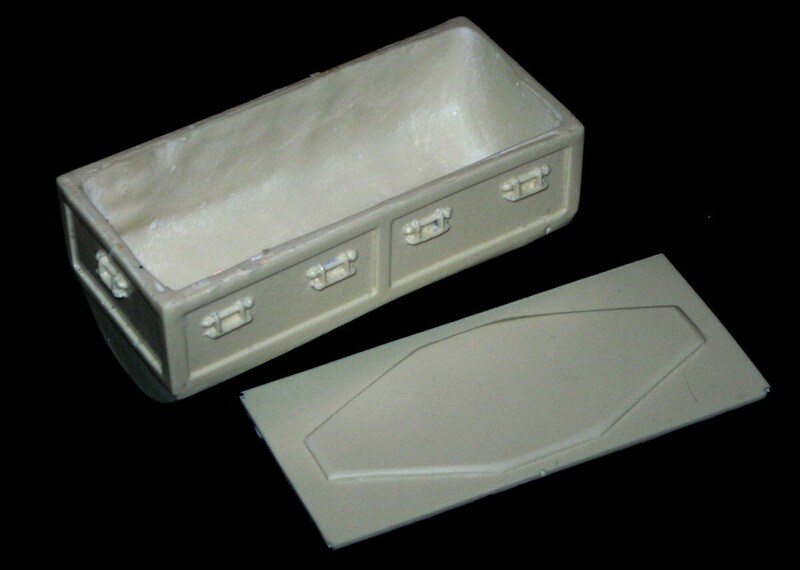 The vault measures approximately 3 7/8" x 1 3/4" x 1 5/8". It is cast hollow. It has minor air bubbles and flash and requires minimal clean up. 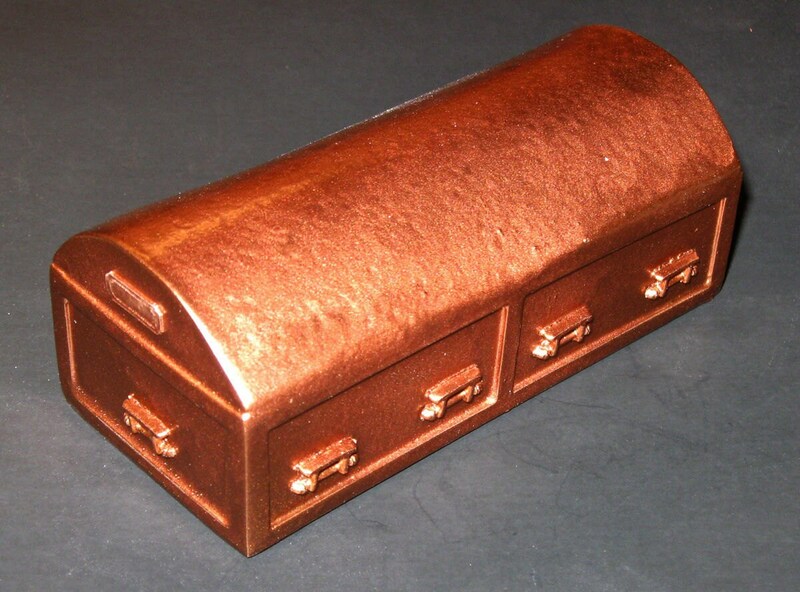 It can be painted with enamel, acrylic, or lacquer paints. This is a kit and the finished photo is for reference only.